Cutting out gluten from your diet may seem like a difficult and limiting task. Fortunately, there are many healthy and delicious foods that are naturally gluten-free and you can find them here! Eating gluten-free has never been easier with our Eat! GF app! Available on the App Store and Google Play. Step away from the toaster! 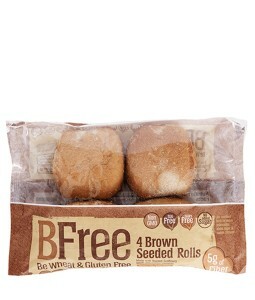 You won’t need it because the BFree Brown Seeded Rolls are so deliciously soft. They’re perfect for lunchtime rolls or as a base for garlic bread and bruschetta for dinner!